What is the deal with that refractor? First off, it’s gotta be an ENORMOUS pain to use. But why would you ever build a refractor that long – or, put another way, why did the old-timey astronomers build their refractors that long? What’s the benefit of such an extreme focal length? Last question first: longer focal lengths help knock down the chromatic aberration, even in ED doublets or triplets. That’s why the early Astro-Physics scopes were f/8 or longer, and why the Great Lick Refractor is f/19. A good description of the problem and its solutions is here. What is the deal with that refractor? First off, it’s gotta be an ENORMOUS pain to use. Really? Why? Big doesn’t always mean inconvenient. This scope is on an alt-az mount with what is effectively a 1.5-ton pier, the scope moves easily, and the eyepiece is almost always at a convenient height as long as you’re not looking too low or straight up. The fact that the tube sticks up 10 feet past the mount does not make the scope any harder to use at the other end. Having seen it in action and looked through it in person, I can tell you that it set up and tore down faster and was easier to use than some vintage 6-inch refractors I’ve seen. A fifteen-foot OTA on an 8-foot-tall tripod with a German equatorial mount and counterweights to match – now that is an enormous pain. This scope is simplicity itself by comparison. In operation, it’s basically a big dob. It’s such a great time to do outreach at schools with such easily accessible objects to share, all those planets plus the beautiful Orion Nebula. 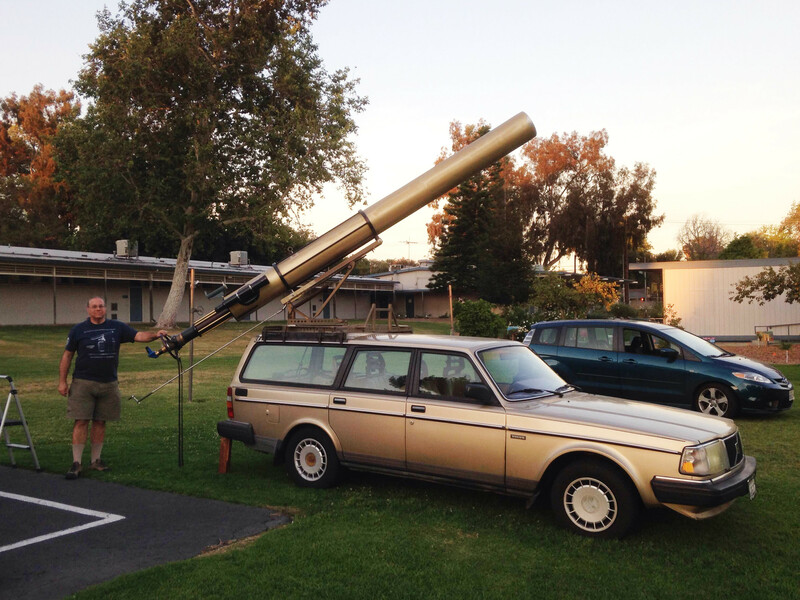 And your smaller scopes may have been overshadowed by the amazing homemade refractor, but you had great targets to show off what makes them worth the investment. It looks like a good time. I like that you had a 60mm refactor in addition to the larger, more expensive scopes to give people an idea of the differences between them. How was the turn out? I didn’t keep an exact count, but my off-the-cuff guess, based on how long it ran and how busy we were, is more than 100 but less than 150. Not bad for a school night. 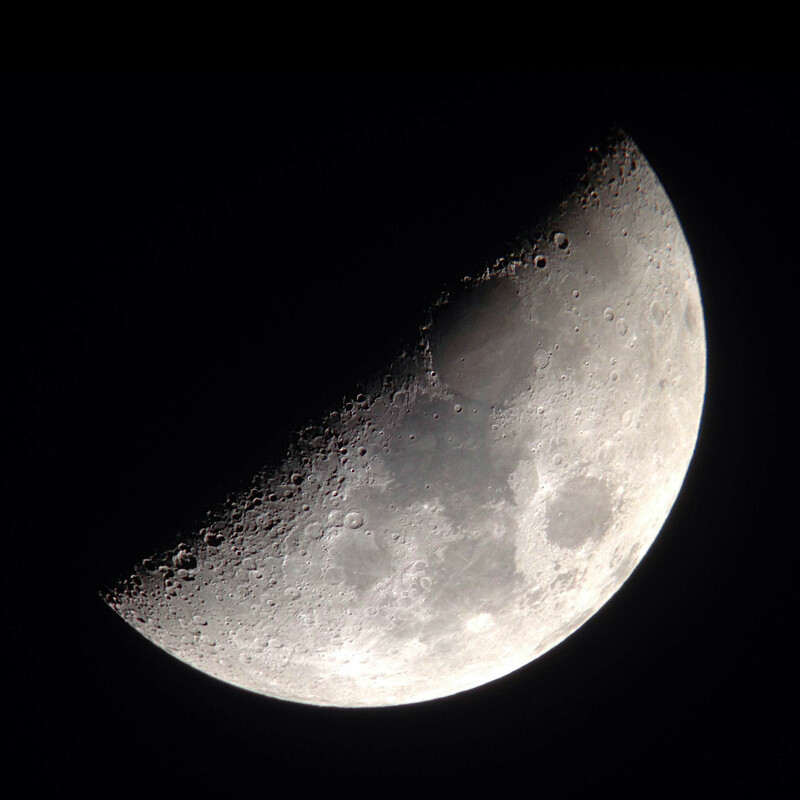 As Dave said, good for kids (and parents) to know what an inexpensive 60mm refractor can show. I haven’t observed in 3 months, so it was exhilarating to see Jupiter’s moons and cloud bands with my tiny Meade 50AZ-T 2″ short tube refractor with a 0.965″ focuser on my front driveway last week. 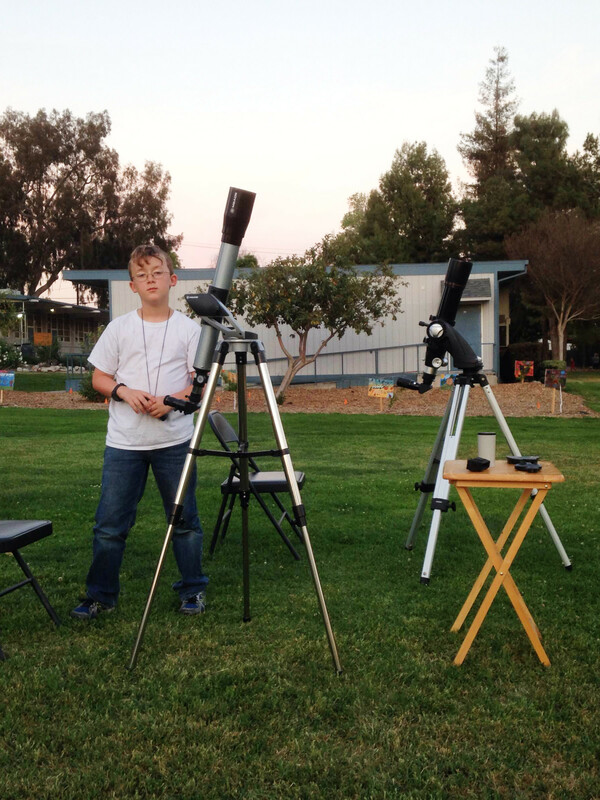 Brought my Meade NG60-SM refractor (same one as London’s) to a friend’s party at Simi Valley once – I was proud to show people what this scope could show in red/orange zone skies.